February 2nd is in fact a Catholic holiday when Jesus was presented at the temple in Jerusalem. Making crêpes was a good way to use up the extra wheat ahead of the new harvest. And symbolically, une crêpe looks like a sun, so it is a reason to rejoice as the days started to get longer! And here is an interesting article about the reason why the French and Belgians eat crêpes on that day: La Chandeleur: pourquoi mange-t-on des crêpes le 2 février ? I actually got inspired by the above article when I did this week’s video to celebrate La Chandeleur. Find out more about this tradition AND make crêpes with me in my kitchen! J’ai une confidence à vous faire ! I have a confession to make: le gâteau de crêpes aux deux chocolats didn’t taste that great! Better to fill each of your crêpes the way you want! This video is a new addition to my playlist Les choses de la vie. Watch this other video about a delicious crêperie in Bretagne, en France. 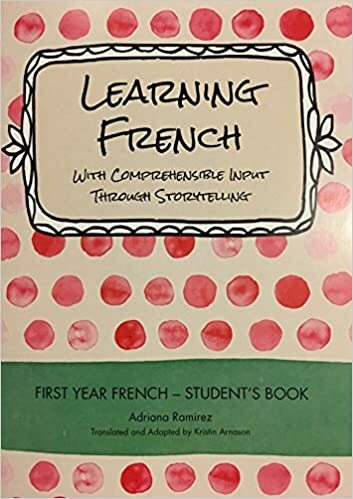 Next Saturday, I am starting an exciting new series of fun stories based on Spanish teacher, Adriana Ramirez book Learning French with Comprehensible Input through Storytelling, First year French. What a better way to start the month of February than by eating crêpes ? Isn’t that motivant, motivating? How to motivate yourself to acquire French? This is a question I often get from my learners (and also from myself)! Listening and reading are like the water that fills the cup…and you guys are the cup. Let’s say your goal is to pour that water. That water that is poured is your writing and your speaking. 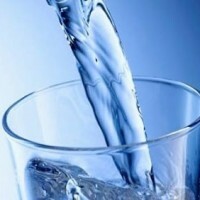 You can only pour that water (speak and write) if you were filled with it (listening and reading) in the first place! Isn’t it more motivating than studying French with grammar exercises? Find content you understand and which interests you and listen to it and/or read it. Contribuez à l’acquisition du français pour tous ! Contribute to French acquisition for all!